Can you believe it is the first week in 2016? I hope you all have had a wonderful holiday season and a great start to the New Year. Our family made the trek to the beautiful state of Montana for the holidays!! We left the Monday after Christmas and we were there for one week. To say it was amazing would be an understatement. If you haven't been to Montana - put it on your bucket list for sure. I have wanted to travel to this state for years. I loved studying geography when I was a little girl and I was always curious about Montana. Were the kids in Helena really like the kids in Ohio? What would it be like to own a cattle ranch in Billings? What wonders would I discover in Yellowstone National Park? Well, I found a 100 year old ranch with authentic log cabins for us to stay in and away we went! We actually went dog sledding and it was a huge treat for the whole family! 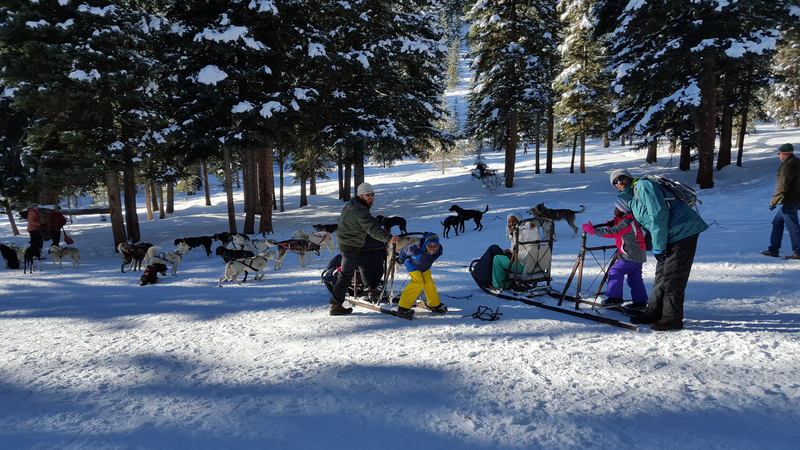 Dog sledding in Big Sky, Montana! Josh and Megan had so much fun cross country skiing. 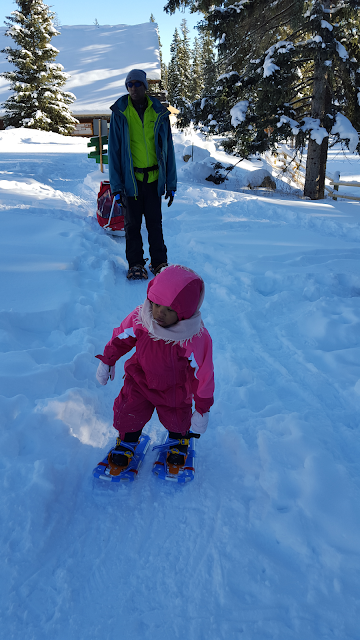 There were hundreds of miles of groomed trail to explore and they had a blast. 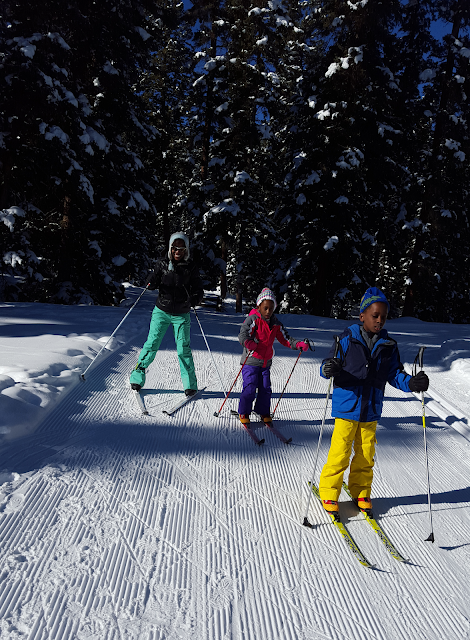 We all had so much fun, that we didn't leave the ranch to take them downhill skiing! So here's the thing. We were having so much fun and the scenery was incredible, but I still had to run. I still had to train. Because at the end of the day, I am running the Boston Marathon in about 15 weeks and I had to stay focused on that. So how do you do it? 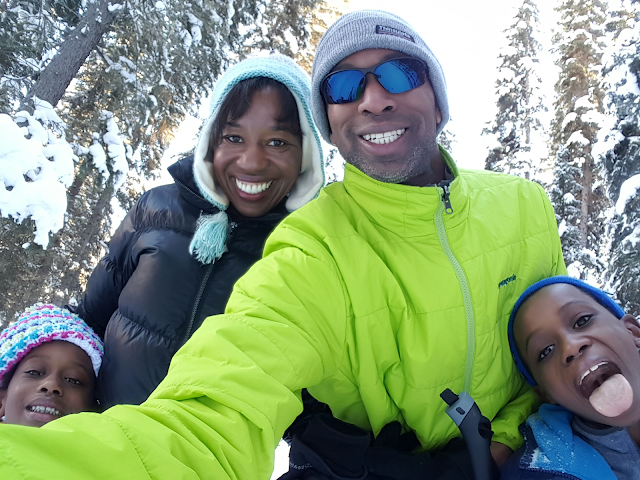 How do you balance having fun with your family and still get your marathon training completed? My coach sent me the schedule and I knew what I had to do for the week. I talked to him about my vacation - i.e. it was going to be extremely cold and snowy!! We discussed that some days I may need to use a treadmill if the outside conditions weren't ideal. He also gave me the latitude to cut back on a run or take a day off if I needed to. 2. Be Flexible about your running. 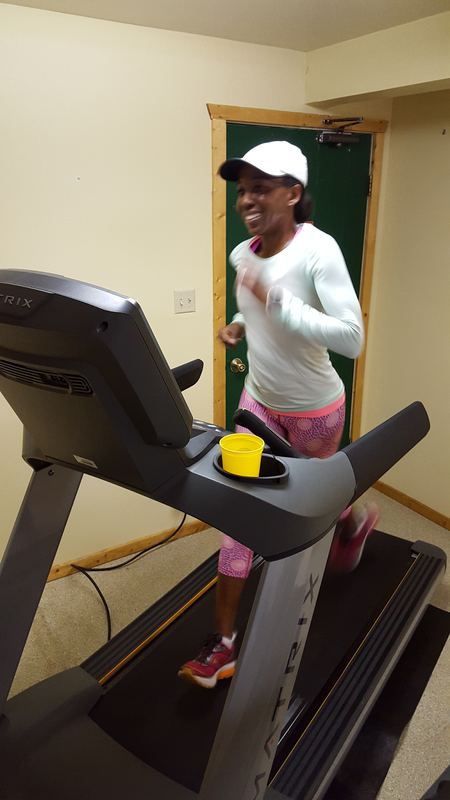 Yes, you are on vacation, but you still need to get the running done! Flexibility is key. There were days that I wanted to sleep in a little with my kids (we had nice fireplace in our cabin - oh so cozy!) and I did!! There were days that skiing with them all day was the priority - and I did!! I still got the runs in, but I was flexible about when they were completed. I'll post my workouts below, but some days I ran in the afternoon (during nap time/down time is ideal), one day I ran before dawn, some days I ran in the evening. Let family and friends that you are traveling with know your goals so they can support you. I didn't talk with my family a lot about my running (except for Jerold - I always talk to him) while we were away, but it was nice to have their support. My Mom came with us on the trip and she would ask about my running, and she stayed with the kids 2 times while we ran outside (Brrrr, it was cold!). When you have children and are training for a marathon, it is so wonderful to have support! This is important. Sometimes things don't go as planned, and you miss a day of running while you are away. Let it go. It's one day. Your body will be okay. One day we were skiing all day, which turned into having an early dinner (with wine!) and I ended up not running that day. It happens. 5. Embrace the beauty of running in a new location! I LOVE running while on vacation. I really feel like I get to explore the location and I always discover something beautiful! Monday December 28th - Super early morning travel day. I was NOT going to run at 3 am, so I ran when we arrived. I actually couldn't wait to get outside. 6 miles in about 5 degree weather. Tuesday December 29th - Day off. We got up at the crack of dawn and traveled to Yellowstone National Park. It was the highlight of the trip!!! So amazing - we saw bison, swans, hawks, a raven, elk and wolves!!! We even got to see Old Faithful erupt. Epic moment!! 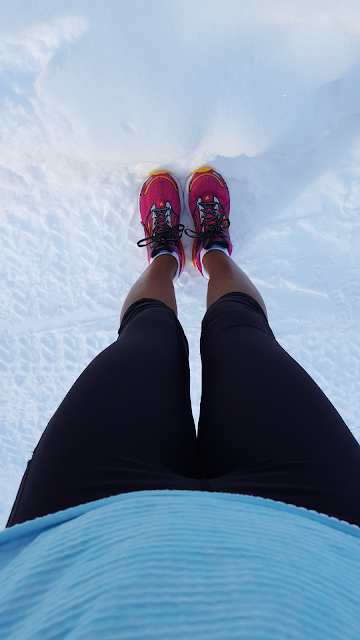 Thursday December 31st - Last run of 2015! Another treadmill run. 2 mile warm up, 4 mile tempo (at 7:30-7:40 pace). Splits were 7:41, 7:35, 7:35, 7:30. I was so nervous about doing this on the treadmill. Jerold came and sat and read to me while I grinded this out. Friday January 1st - Day off. XC skiing all day with fam. Was going to run that night and... didn't. Happy New Year! Saturday January 2nd - If you check out my Instagram, you can get the lowdown on this run. Was supposed to run 12 miles at 8-8:30 pace. 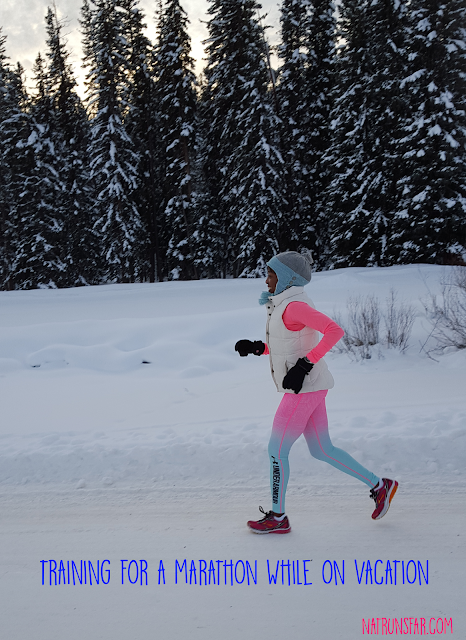 The actual ----> 6 freezing, beautiful, high altitude miles outside. Really happy with this and the most I have ever run on a treadmill!! I would later find out that I was chosen as a Pro Compression Ambassador!!! They also shared this pic on their Instagram page with the hashtag: #thecoldneverbotheredmeanyway. Monday January 4th - Travel back home late morning. Ran 6 outside miles in 64 degree weather that evening. Hello home!! Stay tuned for beautiful pictures from our trip to Yellowstone National Park and more of our Montana adventures!!! Do you like to run while on vacation? 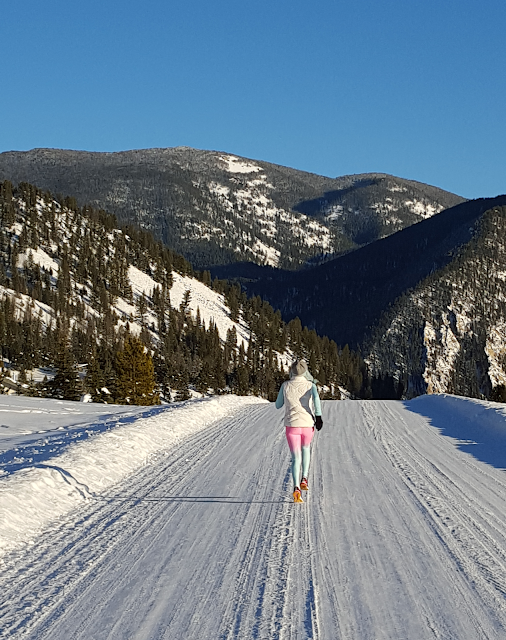 Have you ever been on vacation while training for a goal race (marathon or any other distance)?